Kate Middleton has reportedly become more confident and relaxed ever since Meghan Markle joined the royal family. Body language expert Judi James told Ann Gripper on the “Pod Save the Queen” podcast that it seems as though the Duchess of Cambridge never puts a foot wrong and her body language is also pitch-perfect as a royal. “I think that’s what she’s very good at. I noticed recently her confidence levels do seem to be increasing… I think she’s taking a different role in the royal family generally… I think, with Meghan coming into the royal family, she’s no longer the newbie,” James said. Several years ago, Middleton was also just an ordinary British citizen who married Prince William and then joined the royal family. Markle also did a similar thing last year when she tied the knot with Prince Harry. Since Markle is now considered as the newbie, Middleton’s confidence level has elevated. “Kate seems to be taking a much more dominant, maybe matriarchal role in the royal family anyway, and I can understand why that is. The Queen clearly isn’t getting any younger and is stepping back a little bit,” James said. The royal expert also said that she doesn’t see Camilla Parker Bowles ever wanting to take up the reins of being the matriarchal figure in the royal family, and she will avoid everything to not be given the additional role. As such, Middleton is regarded as second in line to Her Majesty, and she’s doing a good job at it. Meanwhile, James also shared her thoughts about an alleged rift between Middleton and Markle. She said that the sisters-in-law may be getting along just fine and are actually on good terms. However, royal fans shouldn’t expect them to be best friends. 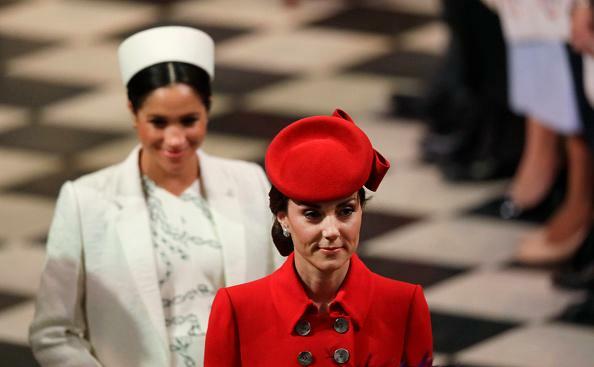 Based on the two female royals’ body language, the Duchess of Cambridge and the Duchess of Sussex will never become best friends, according to James.